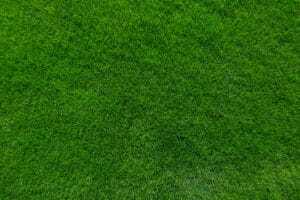 Test Soil: Your lawn won’t thrive if the pH balance isn’t correct. Right before spring, check to see if your soil is ready for a successful season. If your soil isn’t ideal, be sure to choose an organic option to amend it. Clean Up: Pick up tree branches, any piles of leaves left over, and other things that will prevent your lawn from getting enough sunlight and water. Aerate: A winter heavy with snow may have caused your soil to compact. Aerate your lawn so oxygen can get to the roots of your grass. Seed: Seed spots that are bare and/or don’t look healthy after the winter. Hand-weed: The sooner you take care of a problem, the better. Once weeds have the chance to thrive, they’ll spread their seed around. Apply Organic Fertilizer: This will help your grass thrive. Mow: Keep your grass at a healthy height to help stave off weed problems. Water: Your grass prefers long, less frequent soakings over daily watering. Aerate: If you skipped aeration in the spring, fall could be a good time for you to bring oxygen to your soil to help your grass make it through the winter. Many yards don’t require aerating twice a year, so if you’ve already checked it off your list for this year, you can consider it done! Seed: Did the summer season leave you with patchy spots? Now is a good time to seed, especially if you just aerated. Hand-weed: Many weeds go dormant in the winter time, so they’ll still be there lurking and ready to spread when it warms up in the spring. Take care of them now so they’re not a problem later. Get Help with Your Organic Lawn Care. Green Lawn Fertilizing has an Organic Green Lawn Program so you can get you the green lawn you want, no chemicals needed! Call us today at 888-581-5296 to get more information.